To inquire about Oilfield Equipment, kindly click on Submit RFQ button above and fill out our inquiry form. Our dedicated team will get in touch with you! There are three model of DCS Drill Collar Slips: SR and L. They can accommodate drill collar from3 inch (76.2mm) to 14 inch (355.6mm) O.D. 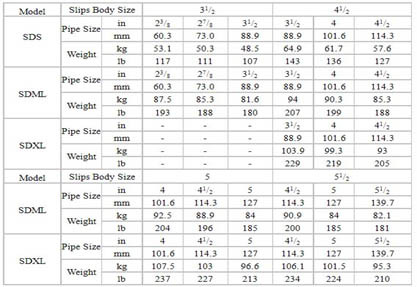 Rotary Slips can accommdate drill pipe from 23/8 to 51/2 inch (60.3-139.7mm)O.D. 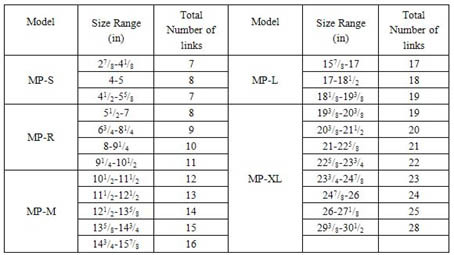 They are classified as type Short (SDS), Medium(SDML) and Extra Long(SDXL) according to gripping length. SDS slips are designed for shallow hole drilling, SDML slips are the perfect choice for all medium depth drilling, SDXL slips are designed for deep drilling. 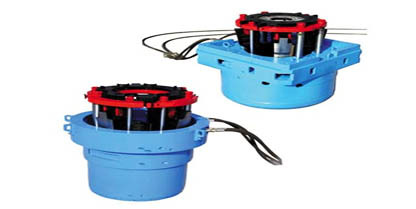 Casing Slips can accommodate casing from 4.1/2 to 30 inch (114.3-762mm) O.D. 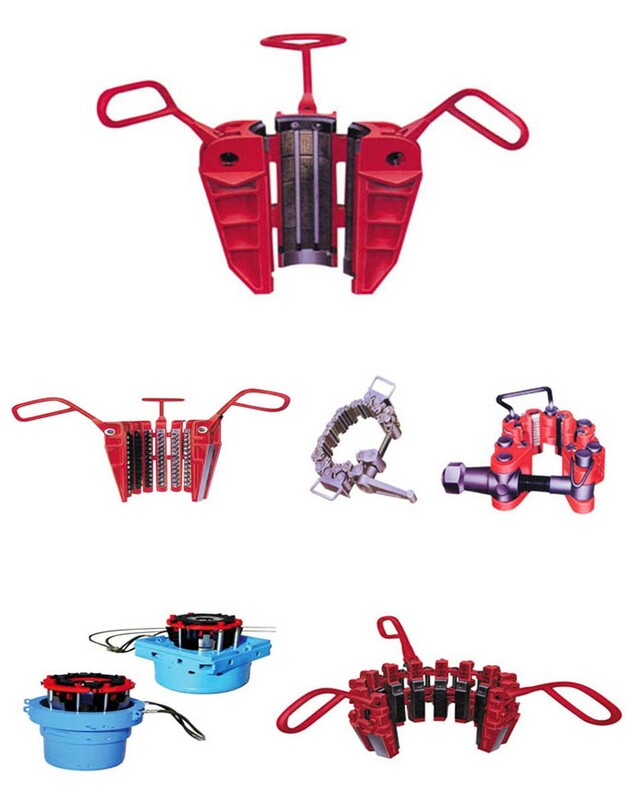 Type QW Pneumatic Slip is an indeal well-head mechanized tool with double functions, it can automatically handle the drill pipe when the drilling rig is running in hole or does pipe wiping. When the drilling rig is pulling out of hole. 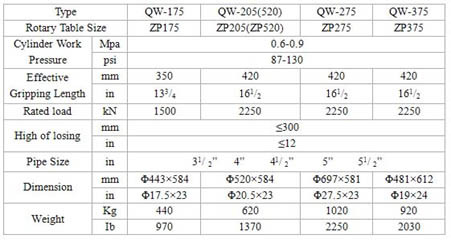 It can accommodate different kinds of drilling rig rotary table. And it features convenient installation, easy operation,complete functions,high automation, low labor intensity and can improve the drilling speed. 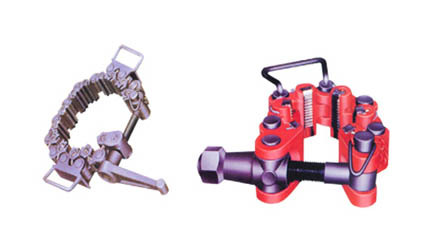 MP Safety clamps are tools for handing flush joint pipe and drill collar. They are four model of safety clamps. Model MP-S Safety Clamps can accommodate pipe from 27/8 to 5in O.D. Model MP-M Safety Clamps can accommodate pipe from41/2to 101/2 inch O.D. Model MP-L Safety Clamps can accommodate pipe from 157/8to 193/8in O.D. Model MP-L Safety Clamps can accommodate pipe from157/8 to 193/8in O.D. 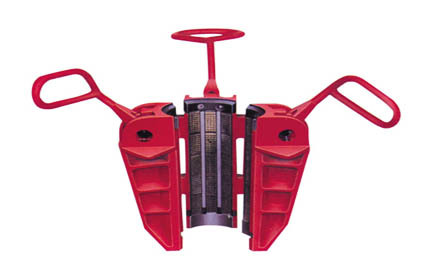 Model MP-XL Safety Clamps can accommodate pipe from 193/8 to 361/8in O.D. Introduce yourself and your company (if applicable). Provide as much product details as possible to receive a detailed response. From optional details, select what else you would additionally like to know. 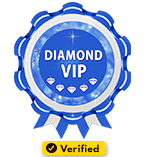 Mention the required QUANTITY that will assist us to give you best competitive quotes. Ask for any other information you find appropriate.